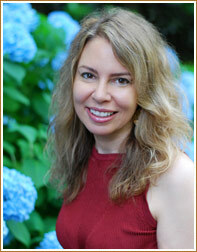 Dr. Melissa Babcock is a board certified dermatologist on staff at Piedmont Hospital and a member of the Piedmont Clinic. She is a graduate of The University of Michigan medical school. She completed her dermatology training in Portland, Oregon at Oregon Health and Sciences University. Subsequently she completed a fellowship in Mohs surgery and facial reconstruction at The University of California in San Francisco (UCSF). Dr. Babcock grew up in Michigan, living both in Ann Arbor and the Flint area. 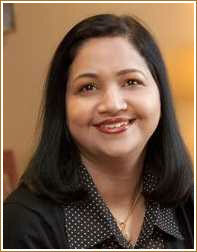 She is married to Dr. Vivek Rajagopal, a cardiologist at Piedmont hospital. She and her husband live in Atlanta with their three boys. Her hobbies include reading and learning Spanish. 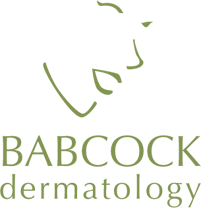 Amanda Goldner is a certified Physician Assistant who has been working in the field of dermatology since 2001. Amanda joined Babcock Dermatology in 2010. She is a graduate of The University of Georgia and completed her Physician Assistant studies at The Medical University of South Carolina, where she graduated number one in her class. She is an active member of the Georgia Dermatology Physician Assistants. 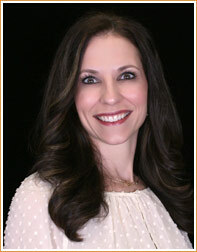 Amanda enjoys all aspects of dermatology, including both medical and cosmetic treatments. She has a special interest in Botox, Dysport, and fillers, all of which help her patients to reach their cosmetic goals. Amanda has attended advanced injector training courses and continues her education in order to keep up to date with the latest cosmetic procedures and treatments to offer her patients. Amanda grew up in Marietta, GA and now lives in Brookhaven with her husband, twins, and their golden retriever. In her free time, she enjoys Pure Barre, traveling, and eating at new local restaurants. 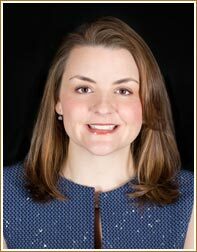 Alison is a certified physician assistant with over ten years of general, cosmetic, and surgical dermatology. She is a graduate of the University of Georgia, and she completed her physician assistant program in Charleston at the Medical University of South Carolina. She is a member of the American Academy of Physician Assistants, the Society of Dermatology Physician Assistants, and the Georgia Dermatology Physician Assistants. She regularly attends lectures and conferences to remain current in the field. Alison is a native North Georgian and moved to Atlanta after college. She and her husband live in Brookhaven with their two little boys. Namita Kumar, PA-C is a certified Physician Assistant who has been working in the field of medical and cosmetic dermatology since 2008. She earned her Master of Medical Science from Emory’s renowned Physician Assistant Program at the Emory university school of Medicine. She grew up in India where she attended college and Medical School. During her training she spent time in Dermatology and Ophthalmology, ultimately completed her residency in Ophthalmology in India and practiced as an eye surgeon for many years before moving to Atlanta, GA.
Namita enjoys the evaluation and treatment of general dermatological conditions and performing Surgical Procedures. She has undergone formalized training in dermoscopy, a non-invasive method of examining skin lesions which has been shown to improve diagnostic accuracy for skin cancer. She is certified by the State of Georgia Composite Medical Board and the National Commission on Certification of Physician Assistants. She is a member of the American Academy of Physician Assistants, the Society of Dermatology Physician Assistants and the Georgia Dermatology Physician Assistants. She and her family enjoy living in North Atlanta suburbs. Her best relaxation is playing with her cavachon puppy.